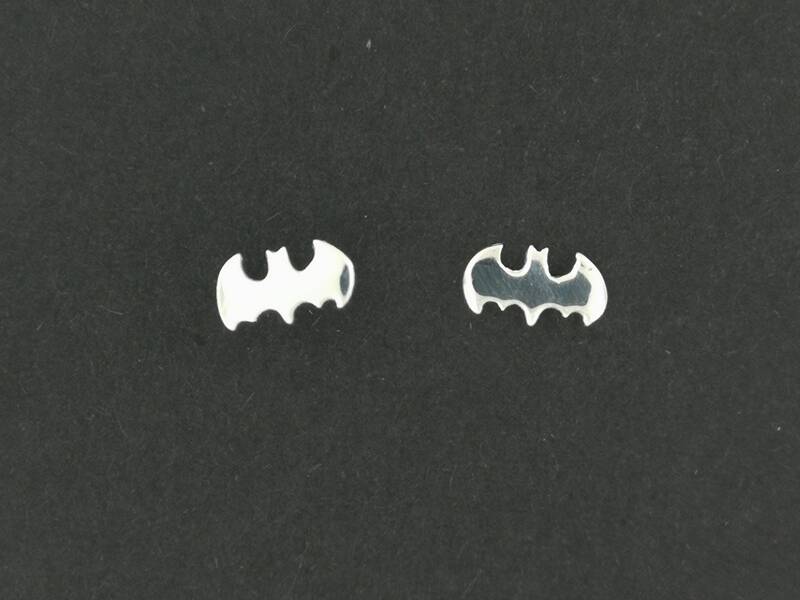 These are a pair of handmade sterling silver batman stud earrings. The earrings are flat top and are 0.5 cm long and 1cm wide. They are small enough to be worn in a second hole of your ear, or even as a primary. They simple and awesome. Perfect size, great quality. Love them.